Much of the fleet will be used by Rules Officials, television production teams and staging staff to ensure the smooth running of the biennial match, as well as specially equipped captains’ cars to be used by the European and U.S. captains and their vice-captains during the matches. 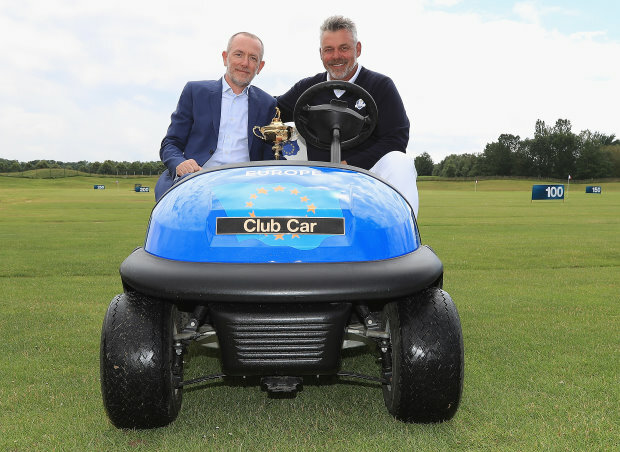 Club Car has been associated with The Ryder Cup since 1997, the last time the event took place in continental Europe, with many memorable images capturing Cub Car vehicles’ role in the matches, not least of the legendary Seve Ballesteros, who was regularly seen navigating the course at Valderrama on route to victory. 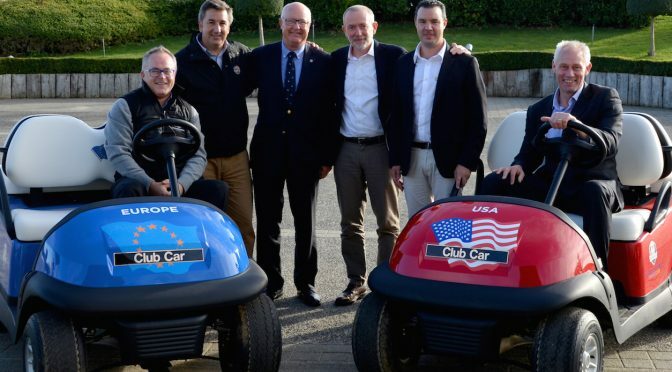 “This experience ensures Club Car continues to provide the top class service and operational support required for golf’s most prestigious event and we look forward to continuing our close and trusted partnership for many years to come,” he said. Club Car in South Africa said they are delighted about the news of the extended contract. “This is strong confirmation that Club Car is the most respected golf cart brand in many very important golfing circles. 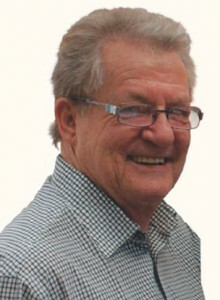 I know the thousands of Club Car users in South Africa will be just as pleased as we are,” says SPE’s Steve Mangold. This article is from Golf Business News. This article was featured in the tee-and-sandwedges-oct-2016.